Hosting a car show is an effective way to gather the local auto enthusiast community and make money while doing something you love. However, like all events, car shows pose a risk to staff, volunteers, and the public. From damage to expensive vehicles to slip-and-fall accidents, it is important to protect your car show against costly liabilities. One way to accomplish this is by investing in special event insurance. Learn more about special event insurance and how entertainment insurance brokers can offer protection. Special event insurance is a type of insurance policy that can help protect your investment in a specific event, such as a car show. With special event insurance, certain costs are covered if you have to unexpectedly cancel your event, if you are found responsible for property damage, or if an injury occurs due to your event. Special event insurance typically covers both private and public events. 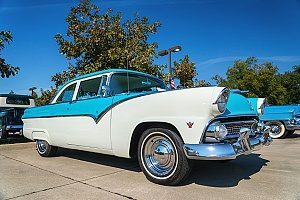 In addition to car shows, eligible events include weddings, baby showers, anniversary parties, birthday parties, religious celebrations, bachelor and bachelorette parties, private corporate events, and fundraisers. Events can be cancelled for a wide range of reasons. Poor weather conditions, injuries or illnesses, or problems with a venue can cause an event to shut down or become cancelled in a matter of minutes and before it even began. Event cancellation coverage may provide partial or full reimbursement if you lost deposits or other fees due to the delay or cancellation of your function. However, not all types of situations are covered with special event insurance. Be sure to thoroughly read through your insurance policy to find out exactly what types of situations you are protected against. Special event insurance also includes liability coverage. Event liability coverage may help protect you if you are found responsible for an injury or property damage during your event. In fact, it is so important that many venues require that you have it if you wish to use their facilities. Depending on your unique policy, liability coverage may only cover your staff and contractors if an injury or damage occurs. Some policies may also cover incidents caused by guests as well. For example, if a patron at your car show leans on a vehicle creating a dent, special event insurance may pay to have it repaired. If you plan to serve alcohol at your event, you may also be interested in liquor liability coverage. This type of coverage provides protection against alcohol-related events, such as bodily injury or property damage caused by an intoxicated patron who drank or was served alcohol at the event that you hosted. Liquor liability coverage is an optional type of coverage that can typically be purchased for an additional premium. Remember that you will need to purchase your special event insurance policy before the start of your event if you wish to receive reimbursement for damage or injuries. If you plan to use a vehicle to transport goods and move equipment, then auto liability is a must. If you or an employee is sued after a serious vehicle accident involving a car or truck that you own, auto liability coverage could help protect your assets. You may need liability insurance if you own, lease, or rent a vehicle, if workers use their own vehicles for business purposes for your event, or if you or your workers use company cars for personal or business use. While minimum coverage may be adequate in some situations, take time to explore your options to ensure you are fully protected. If you have employees that work for you, worker’s compensation coverage is also a must. Workers compensation provides employees with medical benefits and salary compensation in the event that they are injured while performing job duties. Depending on your policy, workers compensation may also cover the cost of rehabilitation, as well as provide family members with death benefits if the injuries or illness result in an immediate death. Premiums paid by the employer are based on the employer’s potential claims liability, as well as wages paid to workers, and the type of industry in which the staff are employed. Why Do You Need Special Event Insurance? An estimated 40 million lawsuits are filed each year in the United States. As litigation runs rampant in today’s society, it is more important than ever to protect yourself from suffering the loss of both money and your reputation. As the host of a car show, you are responsible for any incident that occurs that results in a lawsuit. Having the right amount of coverage is not only important for your own well-being, but many venues and vendors will not do business with a company that does not have insurance. How Do You Choose the Best Policy? When it comes to special event insurance, no two policies are the same. While some businesses can get by with simple general liability, others require liquor liability, auto liability, and other add-ons for maximum protection. However, with all the options available to you, it can be hard to determine which is right for your event. Begin by purchasing general liability, which will provide you with broad coverage for your car show, including coverage for common incidents like slips and falls and faulty products. You can then consider adding other types of coverage at an additional cost. 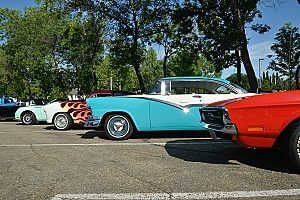 The first step to securing special event insurance for your car show is to call professional entertainment insurance brokers. Insurance brokers do not work for the insurance company, but rather for clients. This helps ensure that you get the best insurance options for your needs instead of what is in the best interest of the insurance company. Professional entertainment insurance brokers can help guide you through the process of acquiring the right amount of insurance for your upcoming event. 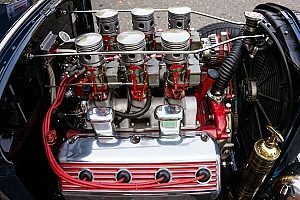 For more information about special event insurance or to start the process of getting insurance for your car show, contact MFE Insurance Brokerage. Previous Post: « How Do I Insure My Cannabis Property?